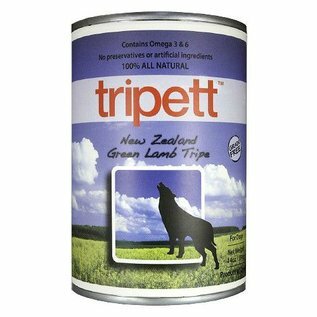 Tripett New Zealand Green Lamb Tripe is a grain-free product consisting of nearly 100% Green New Zealand Lamb Tripe. Green tripe is the unbleached, nutrient rich stomach lining of a grass-fed animal containing essential fatty acids and digestive juices important for your pet’s health. 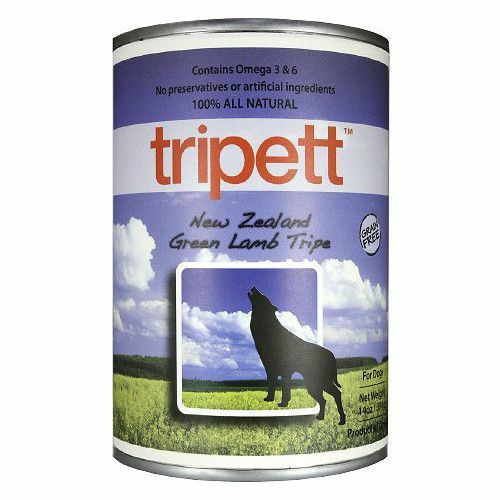 New Zealand Lamb Tripe is known for it’s exceptionally high content of green lamb tripe, and is often used with puppies during weaning and “moms” pre and post litters. Good for all breeds and all sizes. Tripett. Feed well.